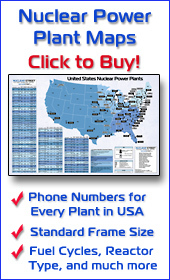 Nuclear Power Suppliers - Equipment, parts, products, and services in our nuclear power industry buyers guide. Over the last three decades, Barnhart has built an impressive nuclear project resumé. Our team of nuclear experts includes personnel with backgrounds from both the construction and operations side of the nuclear industry. Project Management Quality Services, LLC (PMQ Services) is a NQA-1 compliant Woman Owned Small Business. A Worldwide Quality Assurance/Control and Project Management firm based in Kernersville, NC. Radium Incorporated provides steam generator nozzle dam services, Lightning Bolts (quick installation bolts), motion detectors, protective suits, and software development for commercial nuclear power industry. Manufacturing high strength reinforced laminates since 1957, Reef Industries custom designs and fabricates protective covers to your exact requirements. Available options: weights, thicknesses, fire retardancy, heat shrink ability, and more!